US based Quantum physicist to Set-up a Transformational Leadership University in India! New Delhi: Many people today are recognizing that our leaders need to transform their me-centered way to a me-and-society-centered way. However, there is no educational program available for such training leaders. 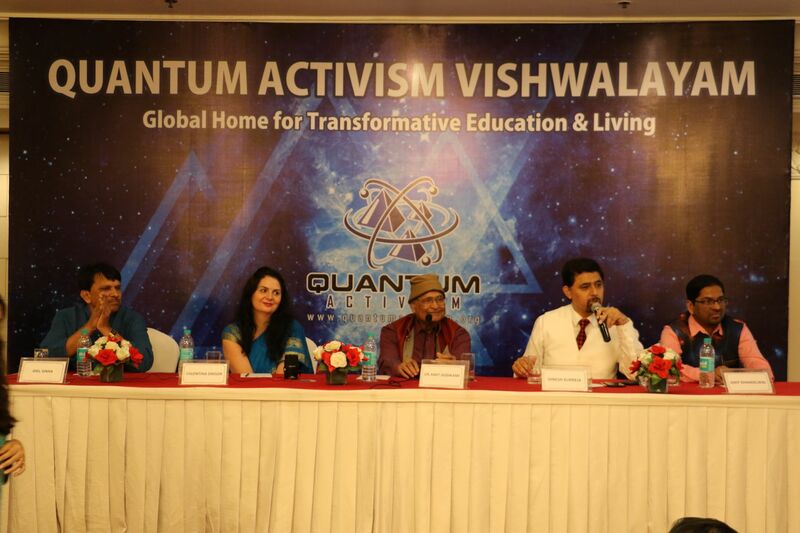 Quantum Activism Village Foundation today in New Delhi announced the launch of a Quantum Activism Vishwalayam which will fill this huge gap in the educational program for new leaders. The village will provide a model space for experiential learning and living based on the principles and framework of a “Quantum Worldview” for leaders, especially from the world of Healthcare & Wellness and Business & Economics.